A rich, sweet, mint-flavoured Cocktail with a generous and immoral penchant of chocolate - a cocktail and chocolate lover's ideal combination first created in the 1950's. Sheer Heaven. The After Eight is based in the Grasshopper Cocktail. 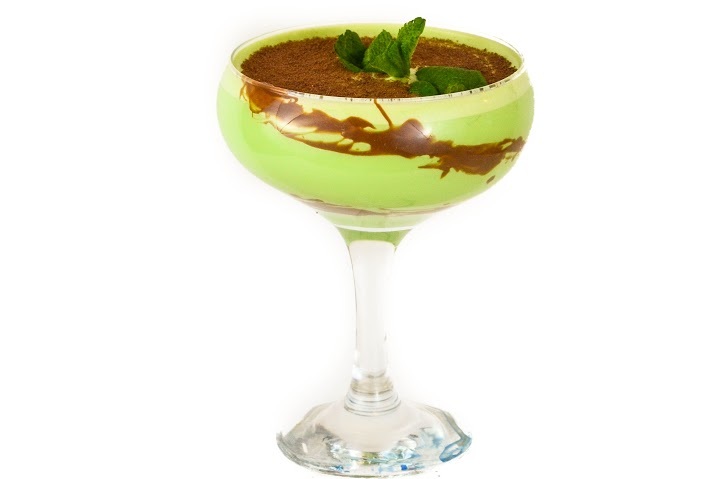 The After Eight has the addition of a layer of dark chocolate liqueur to the crème de menthe and cream. The Grasshopper is said to have been created at Tujague's bar in the heart of the French Quarter in New Orleans by its owner and Mixologist Philip Guichet in the 1950's. Where the variation which became After Eight is not so certain and is lost in the midst of time and Mixology folklore.